The awesome PowerUp Dart stunt plane may just be the world's greatest office desk toy. 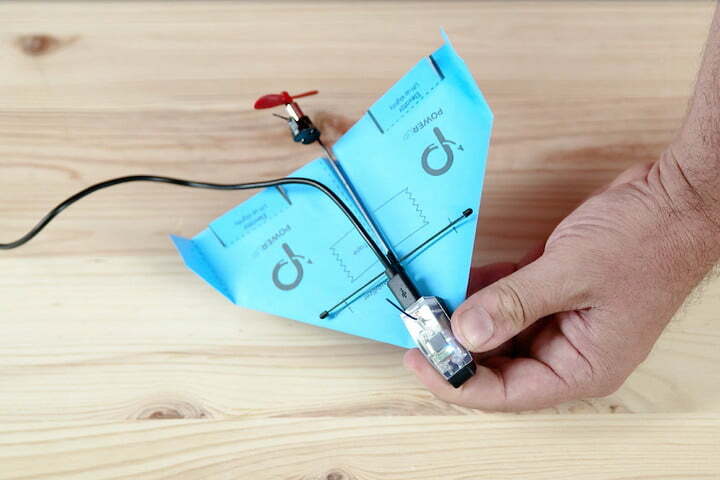 With its mission of creating motorized paper airplanes, popular toymaker PowerUp has gradually added more functionality to its kits over the past several years — ranging from motorized propellers to Bluetooth remote control functionality. Its latest kit, newly arrived on Kickstarter, adds a much-requested focus on aerobatic stunts to the mix. A former industrial designer and pilot, Goitein says that the PowerUp concept was born in 2007, when he was working with kids to teach them about aerodynamics. As part of the prep for one of his classes, he discovered that new miniaturized technology made micro flight possible. This led him to develop a series of paper airplanes, with the latest one being his most successful yet — it’s the No. 1 campaign currently on Kickstarter. The PowerUp Dart is currently available for pre-order on Kickstarter where, at time of writing, it has received $335,643 of pledges against a goal of just $25,000. Prices start at $29, with shipping set to take place in December.